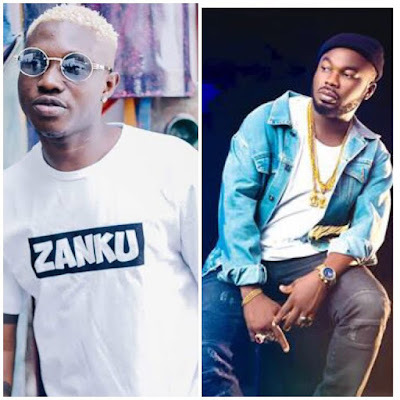 In Burna Boy's new song,the 'Zanku' crooner,Zlatan Ibile, was featured. Zlatan had the opportunity to throw a little shade at Slimcase. At exactly 2:14 minutes in the song,Zlatan stated that he introduced 'Zanku' to the street, he further said that 'Zanku' made 'Shaku Shaku' vibe to fade away. Alternatively, he is trying to boast about using his Zanku talent to shut down Slimcase's career. In an interview conducted by Vanguard which featured Slimcase,he described himself as “the vehicle to drive shaku shaku to the world”, well it appears the vehicle’s tire was deflated by Zlatan Ibile because right now,'Zanku' is obviously chasing Shaku Shaku out from the street.